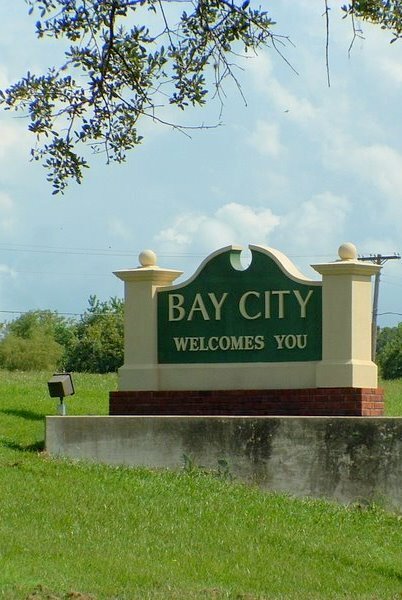 We WELCOME you to the Bay City Area. 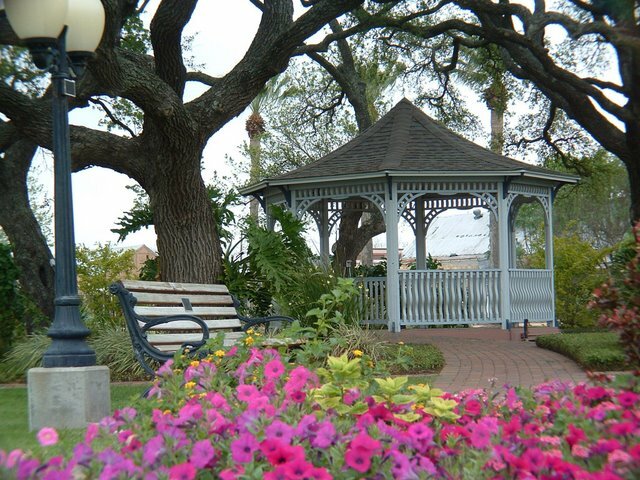 A nice relaxing park in the city of Palacios near the bay. 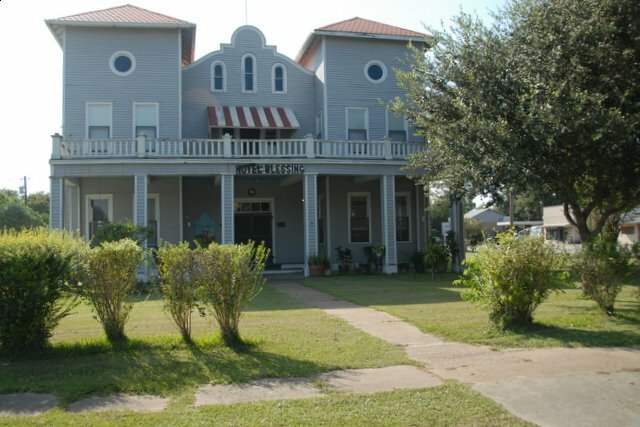 This is a well-loved historic hotel on the Palacios Bay. 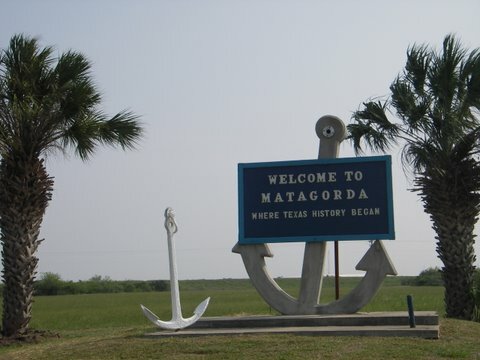 If you want to step back in time, be sure to visit or stay awhile! 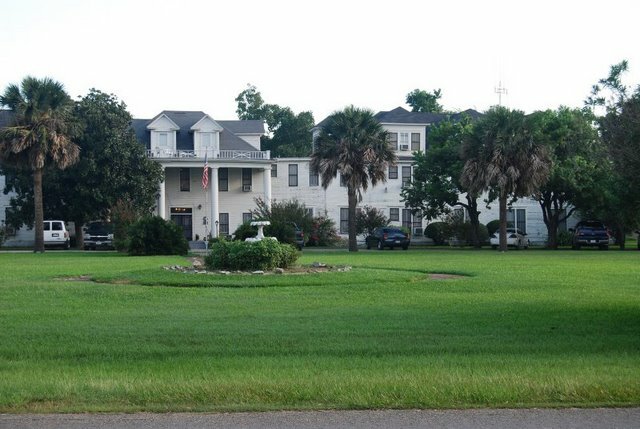 Le Tulle Park is a park with many old Live Oak trees, a nice duck pond, play equipment for the kids and is the entrance to the Bay City Country Club which is hidden at the back of this property. 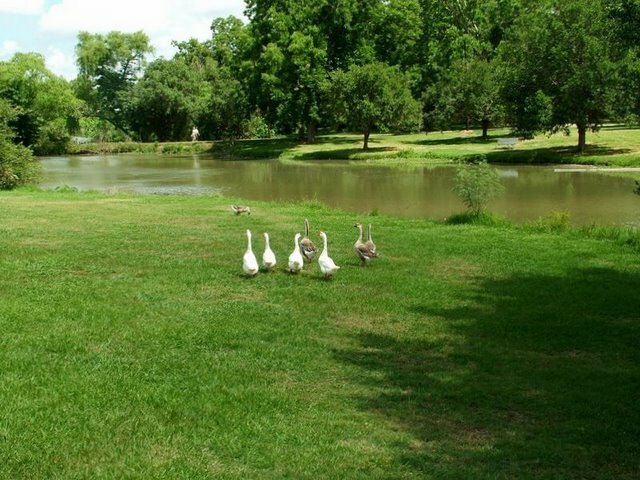 This park is a good place to do your exercise walking and enjoy nature at the same time! 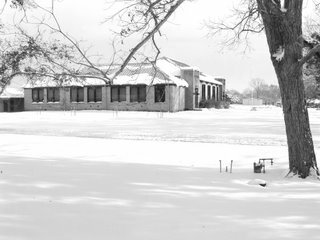 Snow in South Texas? It does happen - rarely! This snow on Christmas Eve of 2004 was the first time we have had snow on Christmas Day in all my years of living in Bay City/Markham which is over 30 years! Some older folks told me it was over 80 years since this happened! Want to see nature up close? This is an excellent place to do your walking. Go past the ponds and you might be lucky enough to find an alligator sunning - there are many different species of birds, an herb garden, rose garden, cactus garden and a great view of the Colorado River. This alligator was sunning on a log at the Matagorda Birding & Nature Center - most of the time he is hiding. Alligators are not agressive unless taunted. 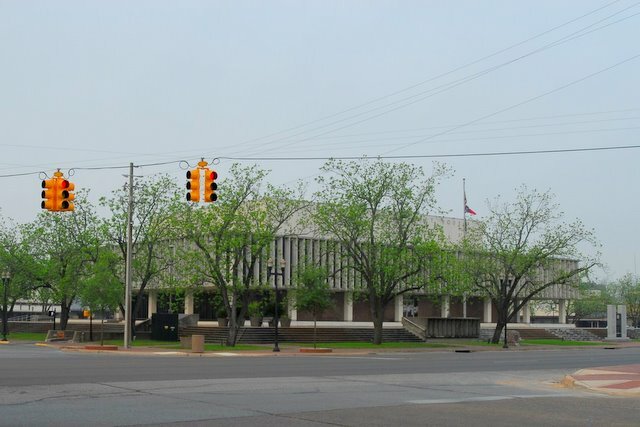 This recently renovated building has become a learning center in Bay City for educating those interested in working at the nuclear project and also offers some beginning college classes from WCJC. 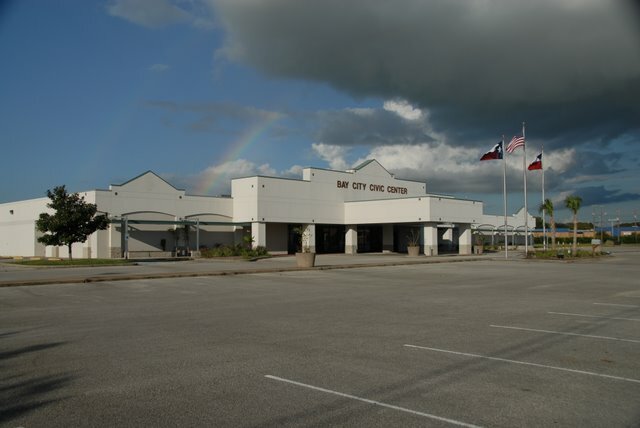 The Bay City Civic Center is available for parties, conventions, meetings and seminars. 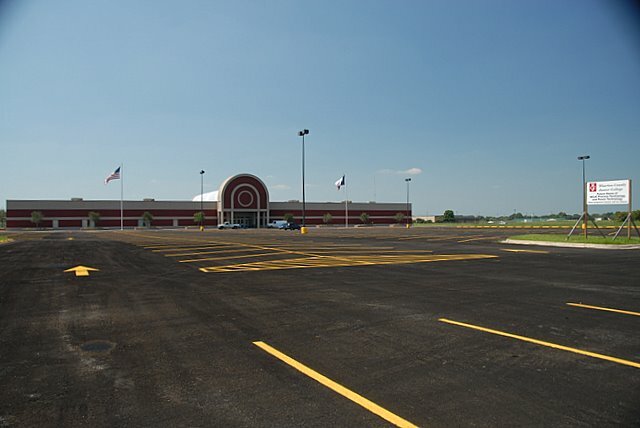 Conveniently located close to downtown. The Blessing Hotel recently celebrated their 100th birthday! This hotel is famous for its homestyle cooking! 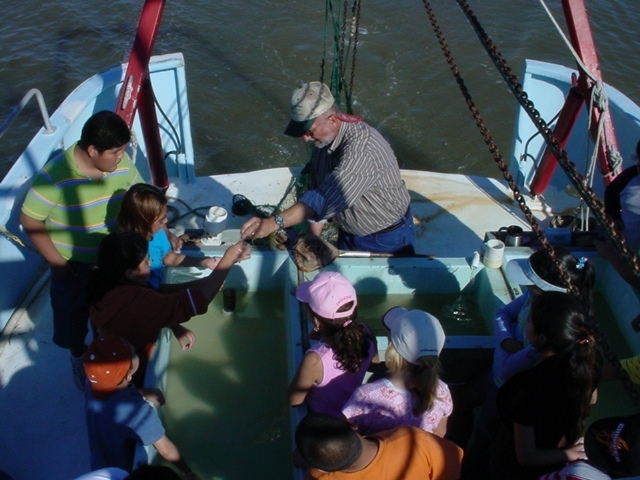 The Karma will teach youngsters about Marine Biology - located in Palacios . 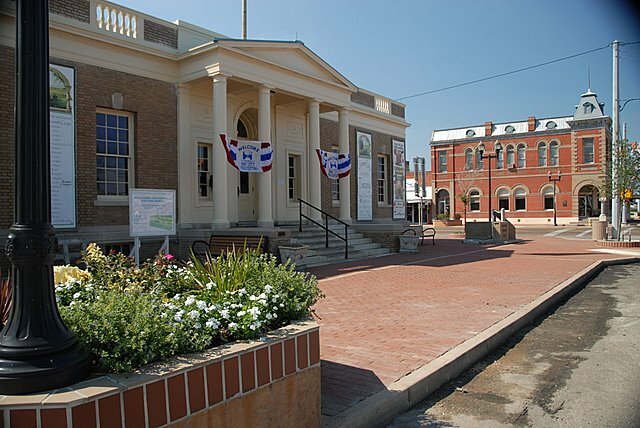 This museum is located in Bay City across from the Courthouse. In addition to many articles from the past, this museum houses one of best Children's Museum around! Don't miss it! 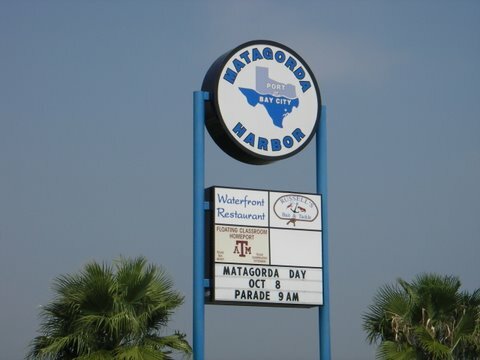 Housed in Bay City, the Matagorda County Courthouse is located in the center of town with a "downtown square" that has been updated with new sidewalks and lighting and has many unique shops.